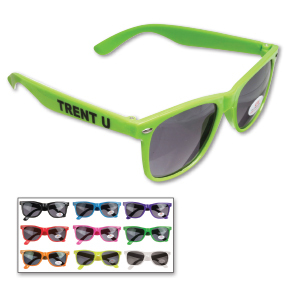 Sunglasses with your logo, great for summer events, island resort destinations or out in the sun anywhere. 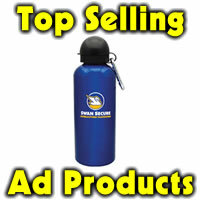 Your logo on the side of the stem makes a perfect giveaway for warm season events. Also great for amusement parks. Colors: Lime green, black, blue, purple, red, neon pink, kelly green, orange, neon yellow, white or teal. Size 5-1/2″ x 2″. Imprint area is 2″ x 1/4″. Price includes one color, one location imprint. Set up is 60.00; re-order set up is 25.00. 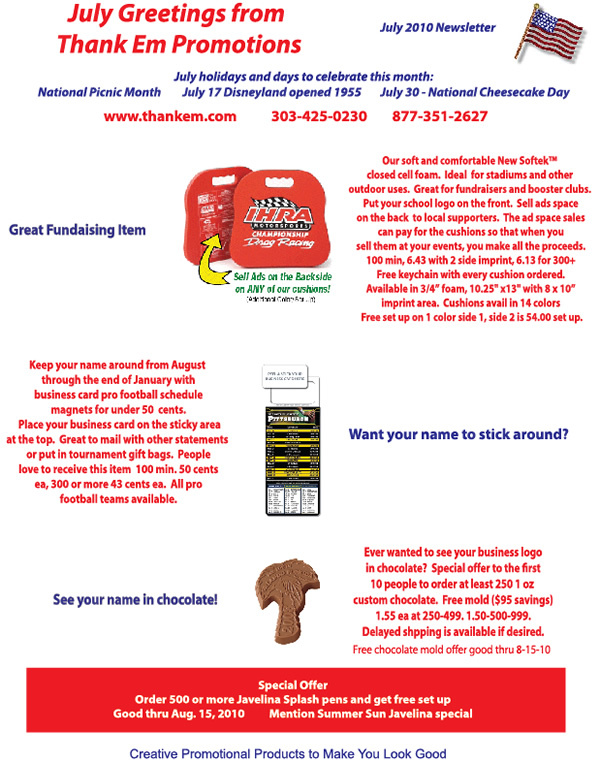 Additional or location is 30 cents per item run charge. Item number W115WJ3. Sales price 1.00 for 150 qty, 92 cents at 300 qty, 86 cents ea at 600 or more. Sales price good through 7-31-16.